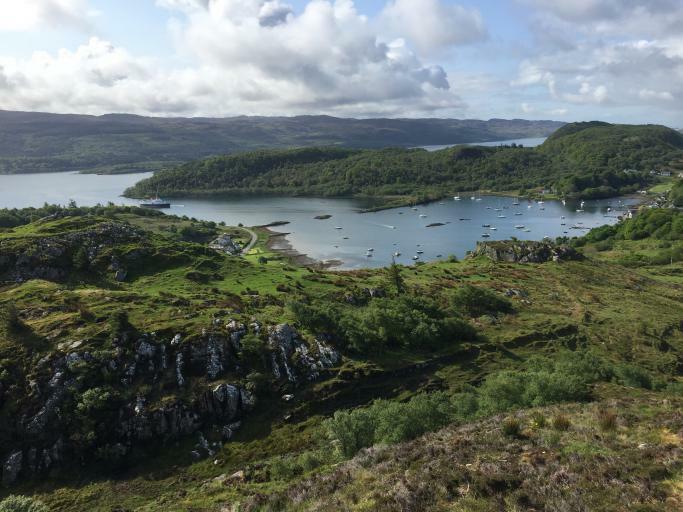 Relax and enjoy the elegance and comfort of Hebridean Princess as we sail south on our exploration of Northen Ireland in the prescence of our National Trust speaker, Sarah Staniforth. 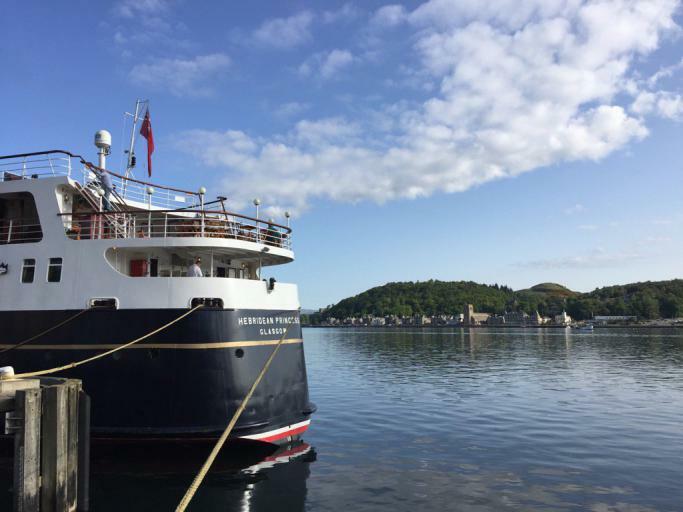 Disembarkation took place in Oban this morning and we wish all our guests a very safe journey home. 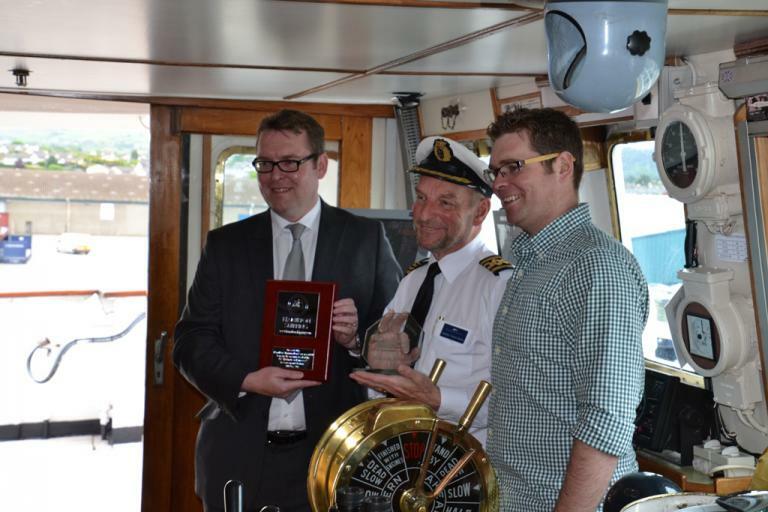 We would like to thank Mr Mike Lewin for supplying a number of images for this blog. This morning we went ashore for walks at the picturesque village of Tayvallich. Thank you to Dr John Fells for this image of Tayvallich from above! During lunch we cruised to Craobh Haven for our final visit to the National Trust for Scotland owned Arduaine Garden. This morning we visited Glenarm Castle, the 400 year old home of the Earls of Antrim, with its glorious gardens. The afternoon was spent relaxing on board as we cruised north on passage to our overnight anchorage in Loch na Mile, Jura. 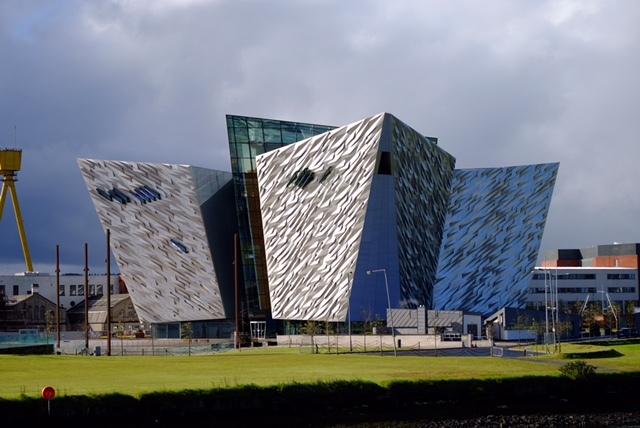 This morning from our berth in Belfast we visited the Titanic Exhibition on Queen's Island, birthplace of the ill-fated liner. In the afternoon guests enjoyed a visit to Hillsborough Castle and Gardens, a late Georgian mansion built in the 1770s by Wills Hill, first Marquis of Downshire. 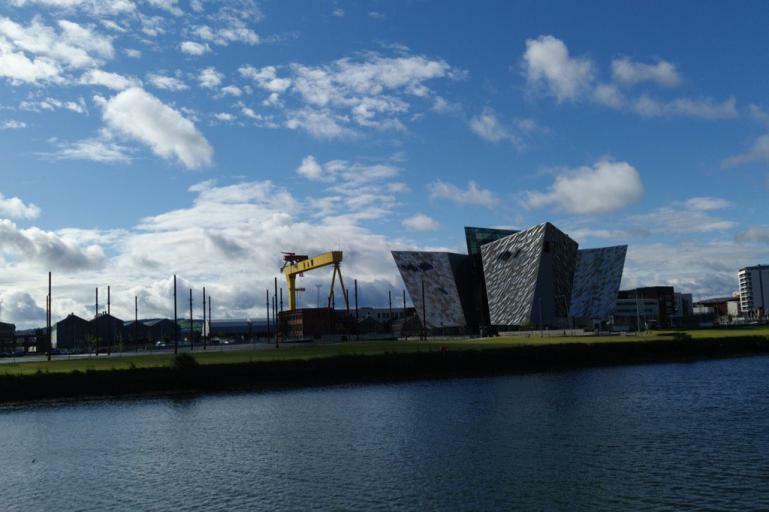 Today, it is a working royal palace functioning as the official residence of the Royal Family when they are in Northern Ireland. The tour of the house included the elegant State Rooms, still in use today, including the majestic Throne Room and graceful Drawing Room. Chief Purser Bobby Milne tried out the sentry box for size! 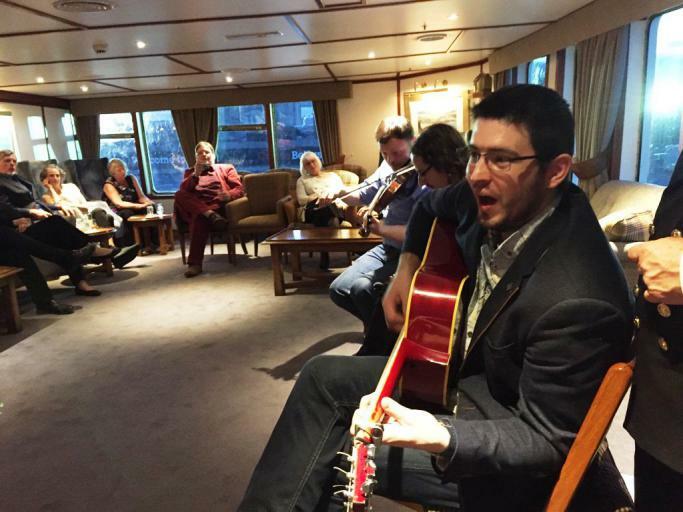 We remained alongside in Belfast overnight and local musician came on board to entertain our guests. From Warrenpoint we travelled to The Argory this morning for a very enjoyable visit. Owned by the National Trust this neo-classical mansion was built in the 1830's and is surrounded by a 320 acre wooded riverside estate. 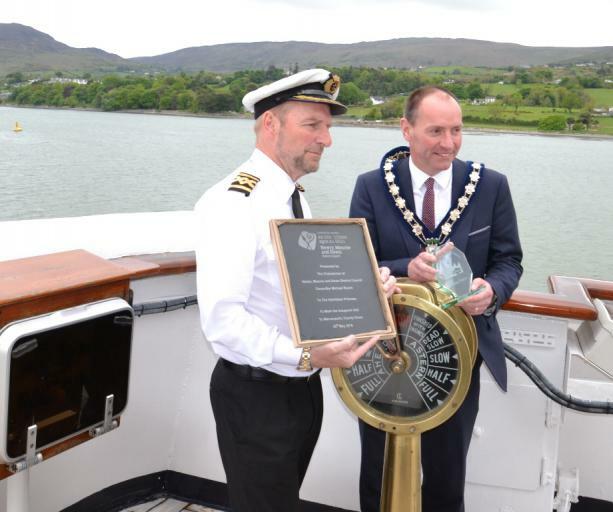 To commemorate our first call at Warrenpoint Port, Capt. 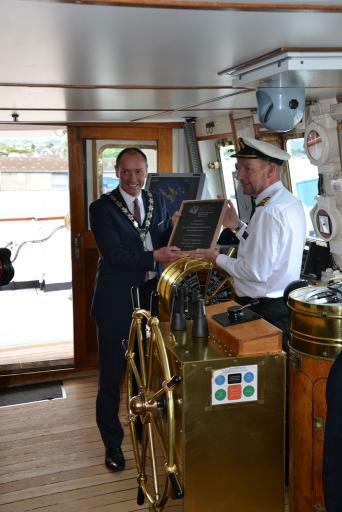 Bailey exchanged plaques with the Chairperson of the Newry, Mourne and Down District Council Michael Ruane and with the ship’s agents, Leo and John McParland. 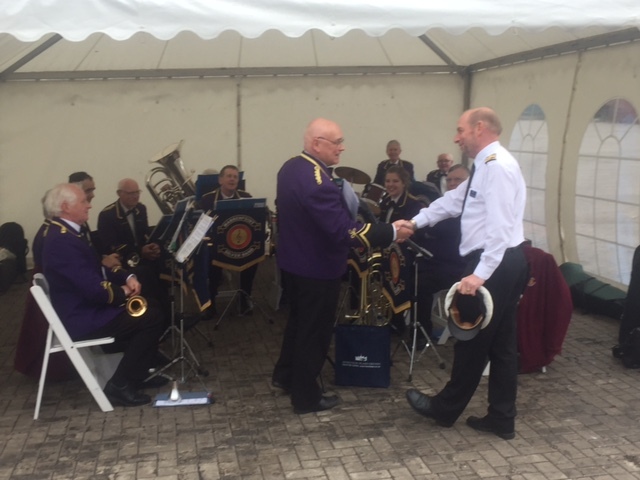 The local council tourism department had also engaged the Warrenpoint Silver Band to entertain our guests and to play us away from the quay. Guests were welcomed back on board with 'jammie donut' cocktails. 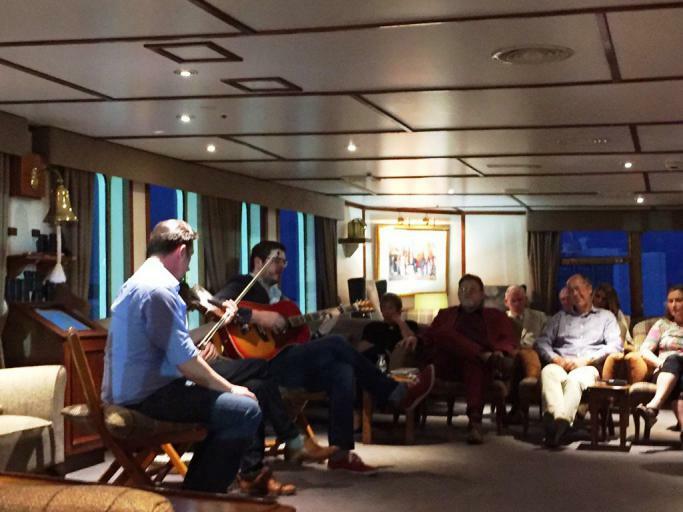 The afternoon was spent cruising on passage to Belfast as our guest speaker, Sarah Staniforth, delivered the second of her lectures. 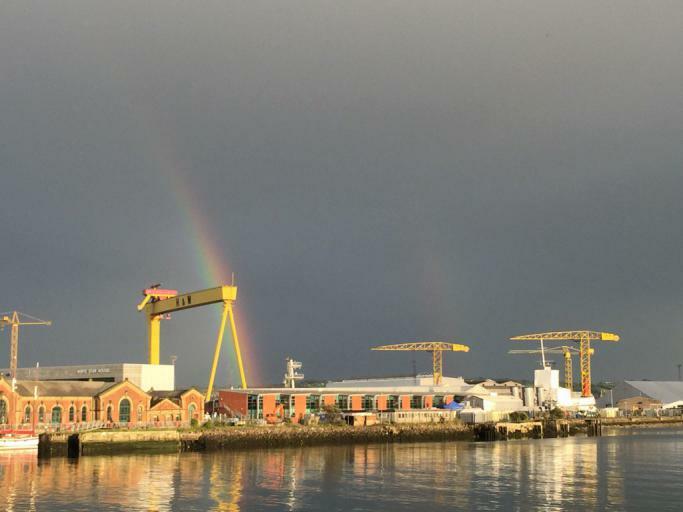 We berthed alongside in Belfast overnight. Sunrise over Belfast Lough this morning. This morning we cruised into Bangor where guests disembarked for a visit to Mount Stewart House. The morning was spent touring the house, followed by lunch at the property and a tour of the gardens in the afternoon. 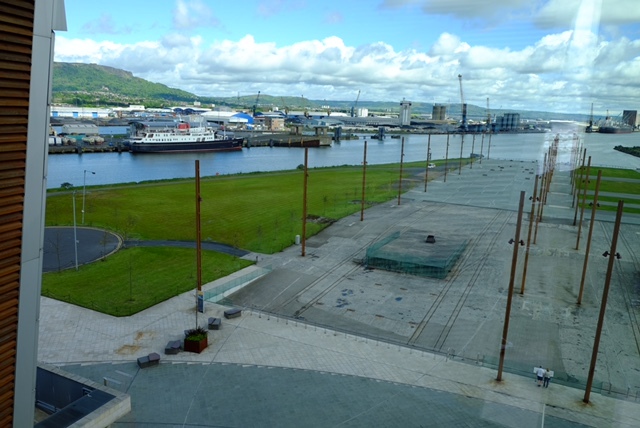 During the day the ship re-positioned to Warrenpoint where guests re-joined and we remained overnight. This morning we steamed through the North Channel, separating the Kintyre peninsula and the Antrim coast. Arriving in Ballycastle after lunch we visited Giant's Causeway and Carrick-a-Rede rope bridge, built by fishermen over 350 years ago and suspended 100 feet above sea level. We anchored overnight off Bangor. Departing from Oban we sailed south to our overnight anchorage at Crinan.